YS Jaganmohan Reddy is so busy with his Praja Sankalpa Yatra since November last year. Still, He got ready to cater sometime for his Close Buddy and do a favour to him. That lucky person is none other than Hero Sumanth! 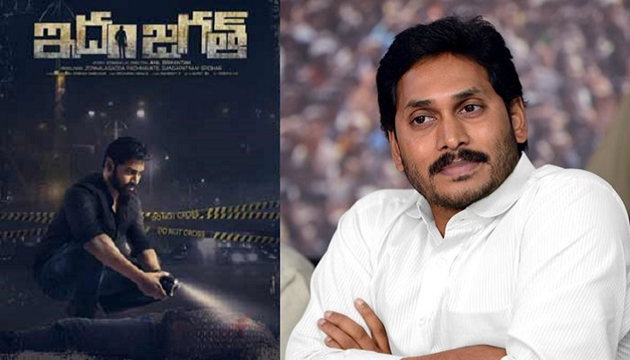 Akkineni Hero approached YS Jagan for the Teaser Launch of his upcoming flick 'Idham Jagat'. YSR Congress Chief didn't hesitate to offer his consent despite busy schedule. On Tuesday, Jagan will be unveiling the First Look Teaser of 'Idham Jagat' on Social Media. This gesture from the YCP Chief guarantees huge reach for the Teaser. In an interview, Sumanth revealed the mischievous things done by Jagan and Himself when they were young. Once, ANR caught both of them red-handed when they were jumping the fencing wall. Paperboy In The Place Of Shailaja Reddy Alludu?